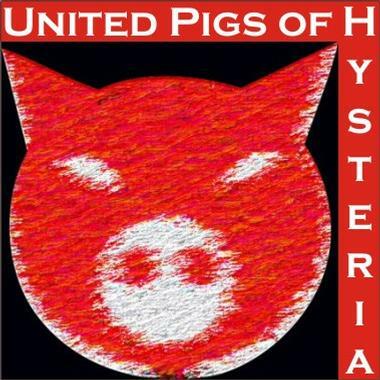 United Pigs Of Hysteria is a mix of Welsh, English, and Greek artists who grew up together and shared their unique cultural backgrounds. Heavily influenced by the experimental 60's, their work reflects a unique mix of sound construction and imaginative ethnic flavor. United Pigs Of Hysteria is influenced by artists such as The Beatles, Mothers of Invention, and Bowie's collaboration with Tony Visconti on his earlier work. They also draw from New Wave and New Romantics of the late 70's and early 80's, right up to Nirvana, NIN, and beyond.